Separating fact from fable in Frances Farmer's life story is still difficult--45 years after her death. 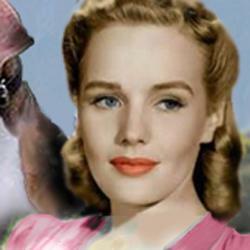 Frances Farmer. Face of an angel, but full of the devil? 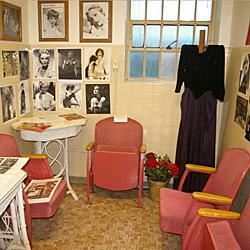 Frances Farmer was Western State Hospital's most famous patient, an up-and-coming actress born in Seattle. The story surrounding her mental stability remains mysterious and full of contradictions. Farmer was called the screen's outstanding find of 1936 by film icon Cecil. B. deMille, and Howard Hawks said she was the greatest actress he had ever worked with. Farmer was a contracted actress during Hollywood's golden age. Her career, however, was cut short by sporadic bouts of odd behavior that landed her in mental health hospitals. Her experiences there spurred books like Shadowland and her quasi-autobiography Will There Really Be A Morning?, and the movie Frances starring Jessica Lange. The Seattle band Nirvana had a song about her, "Frances Farmer Will Have Her Revenge on Seattle." The accepted version is that Farmer was committed to Western State in 1944 during one of her episodes, which involved attacking her mother. Farmer moved back in with her parents in West Seattle, but she and her mother fought bitterly. She spent three months at Western State and underwent convulsive shock treatment and deemed "completely cured." She was recommitted a year later and remained there for five years. There is much debate to this day about her treatment at Western State. Jeffrey Kauffman researched the records and medical files following her death in 1970. His exhaustive work, Shedding Light on Shadowland, takes apart the Shadowland book and other accounts. The must-read book sheds new light on what are widely known as "Farmer facts." The Western State Museum, which is mostly reserved for nursing students and targeted groups involved in mental health issues, has a room dedicated to Farmer and the debates surrounding her.